A driver who crashed and killed a teenage girl after squeezing seven friends into a stolen van, has been jailed for seven years. Kyle Perkins, 25, of Cwmaman, Rhondda Cynon Taff, crashed on Bryn Terrace, Aberdare, on 3 August, 2015. Sammy-Jo Davies, 19, died and six others were seriously injured. 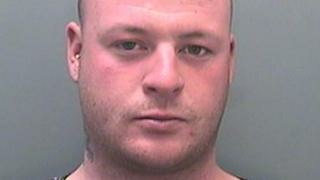 Perkins previously pleaded guilty to three charges, including causing death by dangerous driving at Merthyr Tydfil Crown Court. The court heard the community had been divided by what had happened. Judge Richard Twomlow said: "You are no stranger to the courts. I accept you feel a real remorse for what you have done." But he added "no sentence can alleviate the grief and sorrow" felt by Sammy-Jo Davies's family and friends.